Your customized greeting cards from 50 units only! 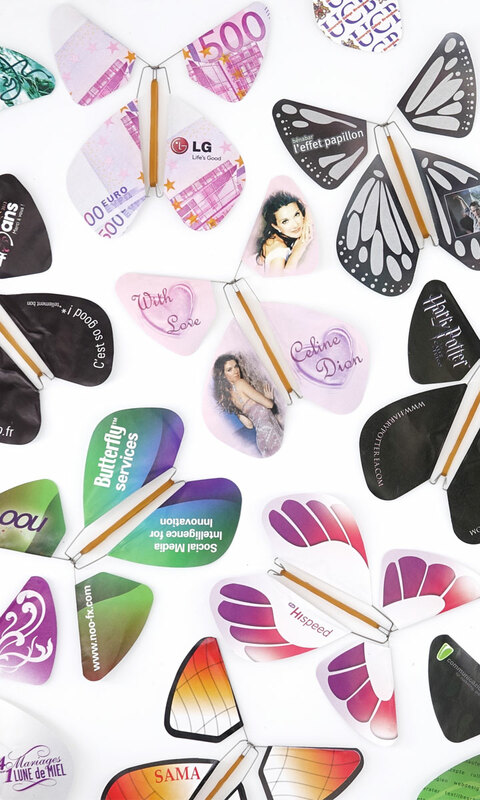 A customized double card + 1 Magic Butterfly® of your choice + 1 Envelope. Choose your card template here. Mail a unique new year card. 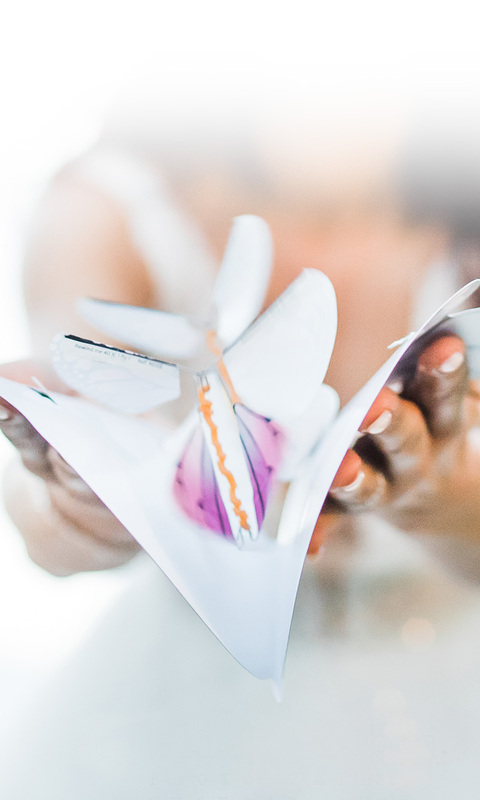 The Magic Butterfly, made up with a very light colourful paper and a patented rubber band, is taking off the card at the opening to surprise and delight your clients, yours prospects and your partners. 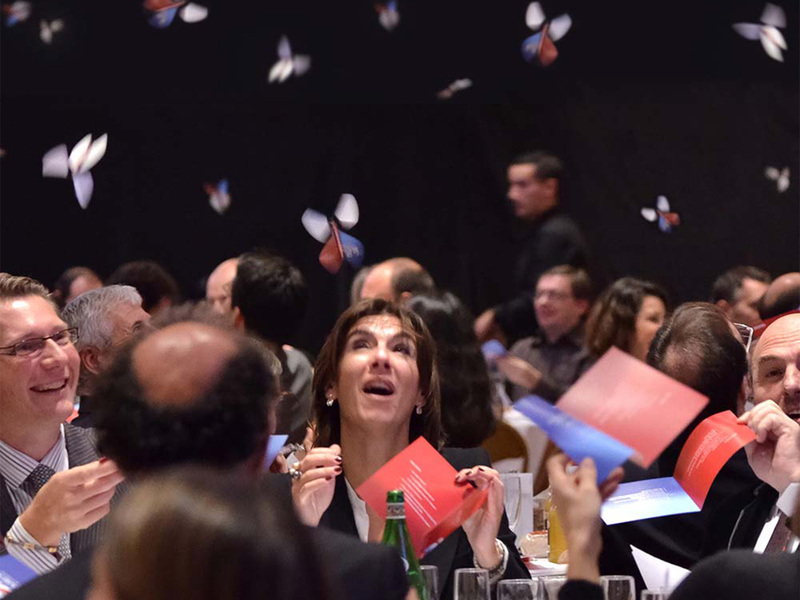 With an average return rate of 20% in marketing campaigns, a handling of more than 10 people and a remanence of more than 5 years, The Magic Butterfly® holds an unmatched record, witnessed by hundreds of references in the world. 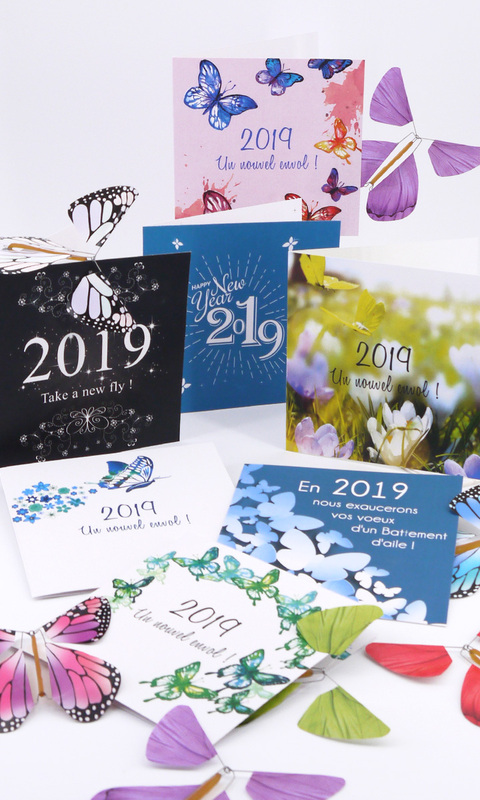 Fully customized card double-sided 13.5 x 13.5 cm closed (graphic elements supplied by you or to design with our creative department), four-color process printing on coated paper 300 g / m2 + 1 customized Magic Butterfly® + 1 Envelope + Winding of the Magic Butterfly offered. Order free samples and try the first "flying concept of correspondance history"! A complete customized mailing pack "ready to be sent"!